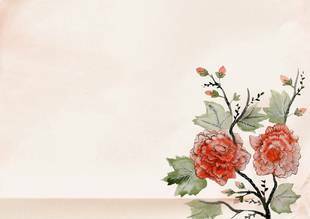 Like their models in China, the Japanese paintings were once made with the same brush that was used in writing, and as in Greece, the word for writing and for painting was originally one; painting was a graphic art. This initial fact has determined half the characteristics of Far Eastern painting, from the materials used to the subordination of color to line. The materials are simple; ink or watercolor, a brush, and an absorbent paper or silk. The labor is difficult. The artist works not in an upright position, but on his knees, bending over the silk or paper on the floor; and he must learn to control his stroke so as to make seventy-one different degrees or styles of touch. In Japanese painting, form and color are represented without any attempt at relief, but in European methods relief and illusions are sought for. The Japanese artist's aim was to convey a feeling rather than an object, to suggest rather than to represent; it was unnecessary in a scene; as in a Japanese problem, only so more than a few significant elements in a scene; as in a Japanese poem, only so much should be shown as can arouse the appreciative mind to contribute to the authentic result by its own imagination. The painter too, was a poet, and valued the rhythm of time and the music of form infinitely more than the haphazard shape and structure of things and, like the poet, he felt that he were true to his own feeling, it would be realism enough. As in Taoism, the Zen artist had to go through the long process of learning to identify himself with the subject to be able to give it the appearance of life. The spirit of Zen is found in the "one-corner" style which originated from Ma Yuan, a Chinese Southern Sung artist. In this style, the artist uses only a few brush strokes to convey the essentials of the subject. It is also an example of asymmetry, which is a common feature of Japanese Art. 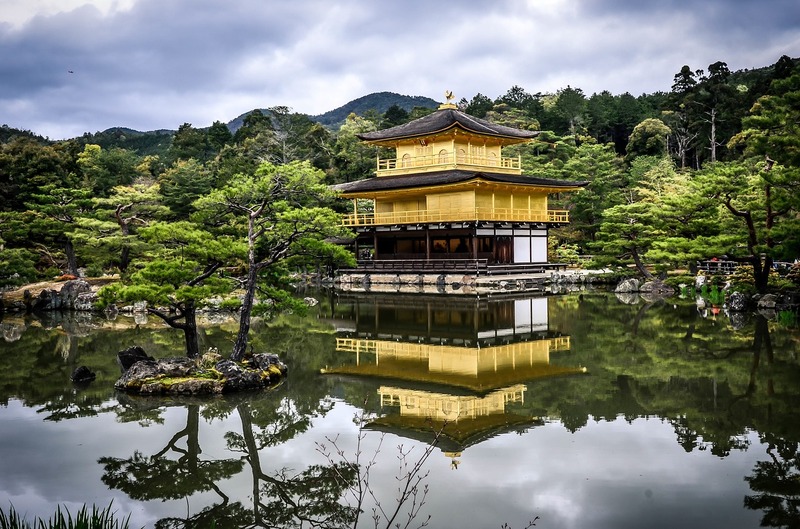 The principal characteristics of Japanese architecture is the intimate relationship between the building, be it a house or a temple, with its natural settling. There is no rigid line drawn between house and garden, but interior and exterior spaces interact. There is a feeling of space in the light, uncluttered interiors with sliding doors and screens that reflect the patterns of foliage in the garden. The main room has a recessed alcove, the tokonoma, of an asymmetrical construction, which contains a few important objects that are the focal points of interest - a vertical hanging scroll (kakemono), a vase with flowers arranged according to a symbolic pattern, and a vessel, such as an incense-burner. Since architecture is intimately related to its environment, landscaping is of great importance. Zen gave rise to the "dry landscape" garden which replaced the earlier "water-and-hill gardens". In 594, the Empress Suiko, being convinced of the truth or utility of Buddhism, ordered the building of Buddhist temples throughout her realm. The temples were essentially like those of China, but more richly ornamented and more delicately carved. The majestic torii, or gateways, marked the ascent or approach to sacred retreat, bright colors adorned the wooden walls, great beam heed up a tiles roof gleaming under the sun, and minor structures, e.g. a drumtower, or a pagoda - mediated between the central sanctuary and the surrounding trees. A palace was rarely one building; usually it was a main structure connected by covered walks with subordinate edifices for various groups in the family. There was no distinction of diningroom, livingroom or bedroom. The same chamber could serve any purpose, for at a moment's notice, a table might be laid down upon the matted floor, or the rolled up bedding might be taken from its hiding place and spread out for the night. Sliding panels or removable partitions separated or united the rooms, even the latticed or windowed walls, were easily folded up to give full play to the sun, or the cooling air. Windows were a luxury; in the poorer homes, the summer light found many openings which, in winter, were blocked up with paper oiled to keep out the cold. Japanese architecture gives the appearance of having been born in the tropics and having been transported too recklessly into islands that stretched up their necks to shivering kamchatka. In the more southern towns, these fragile and simple homes have a style and beauty of their own, and offer appropriate dwellings for once gay children of the sun.